This week at work was lab week, which basically means that we got to have lots of fun, games, and food at work. We played BINGO every night (who could collect a set of 5 specific samples first!). There was a scavenger hunt and a competition to see would could build the best animal from things you find in the lab. Crossword puzzles, fun quizzes and different food every night. Friday marked the end of lab week and we were all encouraged to bring lab themed food. 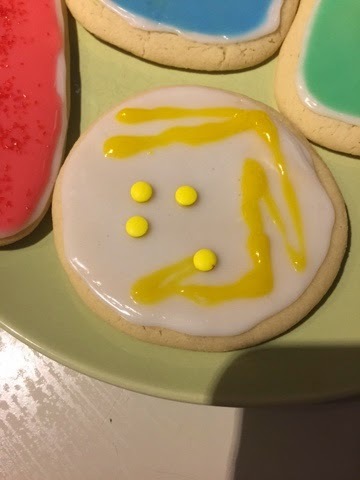 So of course I made cookies. 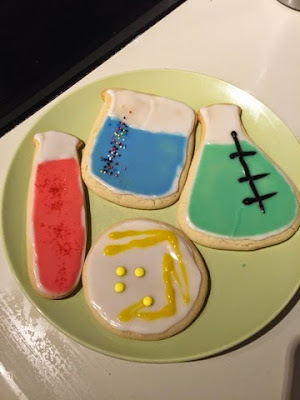 My friend, Lydia, got me these awesome science cookie cutters for my birthday a while back. 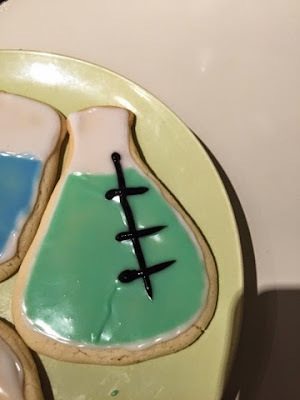 Plus, I am a nerd and already had nerdy science cookies pinned on my Pinterest boards. So I used most of my cookie cutter set, plus a glass to cut circles. 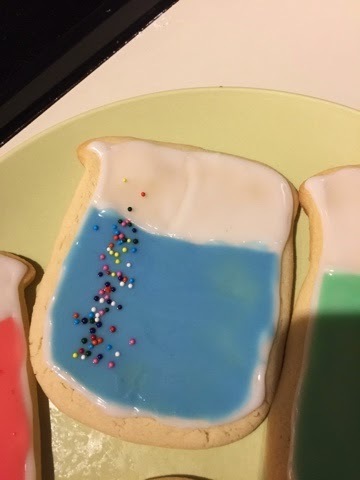 I made a basic sugar cookie recipe that I have that is designed for cutting shaped cookies. 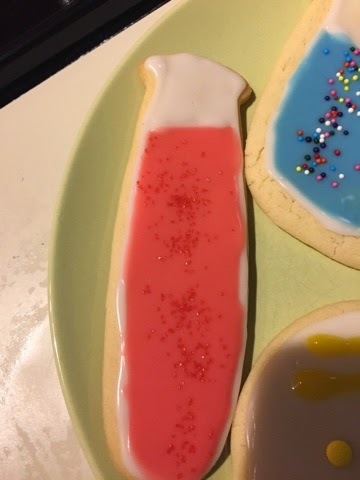 For frosting, I wanted to try something a little more advanced. I looked (on Pinterest) and found this recipe and set of instructions: I am Baker: Sugar Cookie Decorating 101. Blood vial, just like we really get in the lab. And, my favorite, a culture plate! My frosting wasn't very cooperative, but it was fun and cute! It was hard work! I made 19 cookies total. It took me nearly three hours to do everything. And I made some outstanding messes throughout the process. Isaac was my guinea pig. He informed that they were very sweet, but otherwise good. And also cute. My coworkers gave me lots of compliments and said they looked very professional (I think that was just being nice) and that they were delicious!